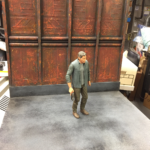 Most action figure dioramas are built using high-density styrofoam. 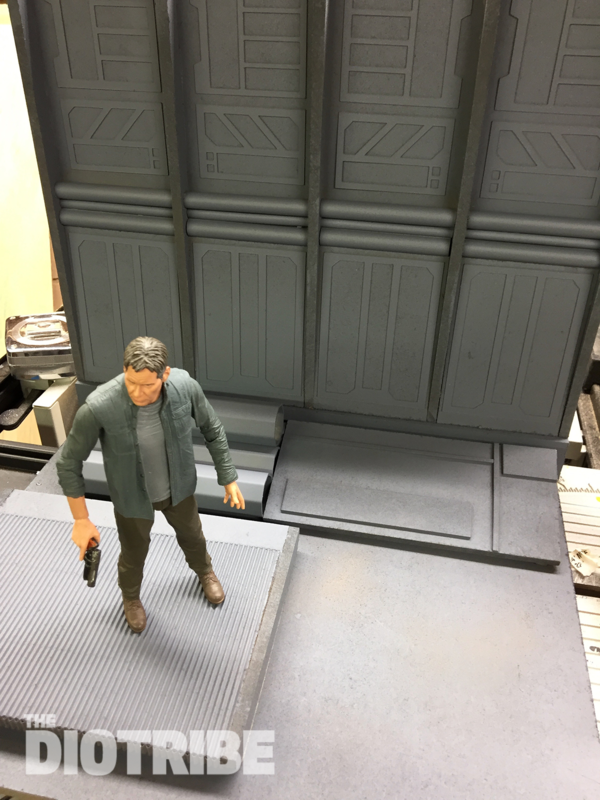 While styrofoam has many advantages, I have been using MDF (medium density fiberboard) for my dioramas because they are rock-solid and can take plenty of abuse, which can happen after repeated photo shoots. 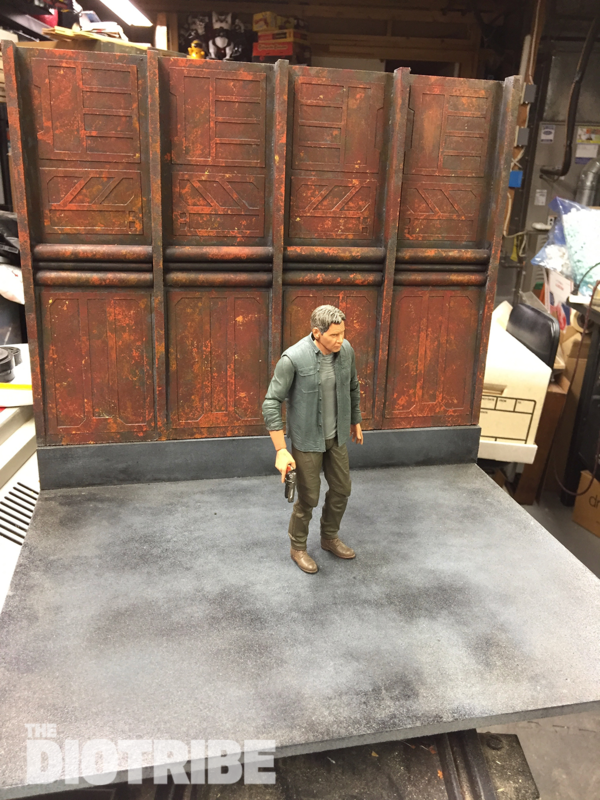 I have devised a way to make these MDF dioramas modular by incorporating a channel that the back wall slides into, which spans the back of the display. 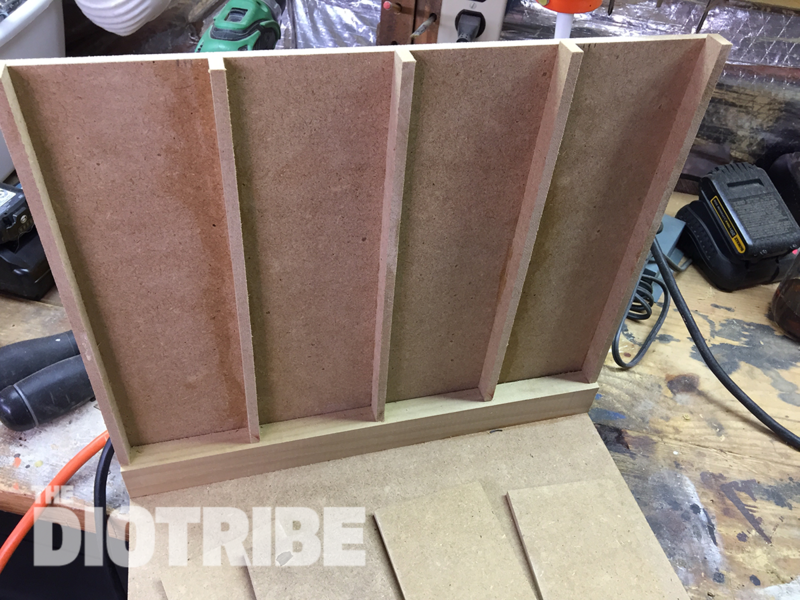 Both the back wall and the floor is constructed with 1/4″ MDF. 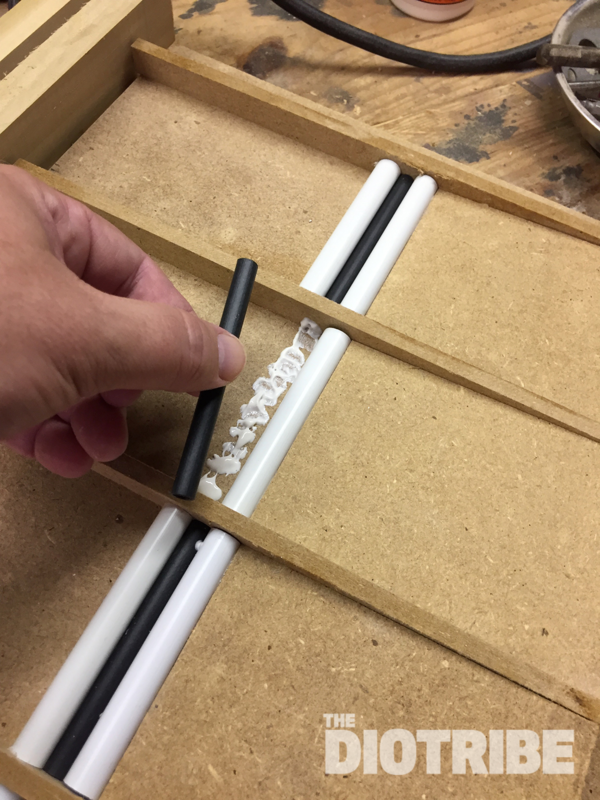 Plastic PVC pipes and straws are cut to fit, and added with glue, to simulate electric conduit. 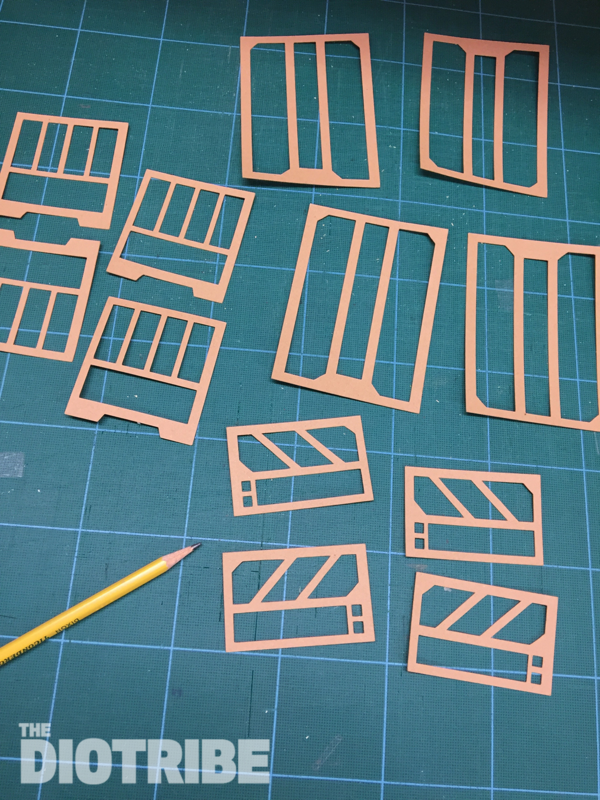 I used a Cricut machine to cut out the wall panel shapes from thick card stock paper. 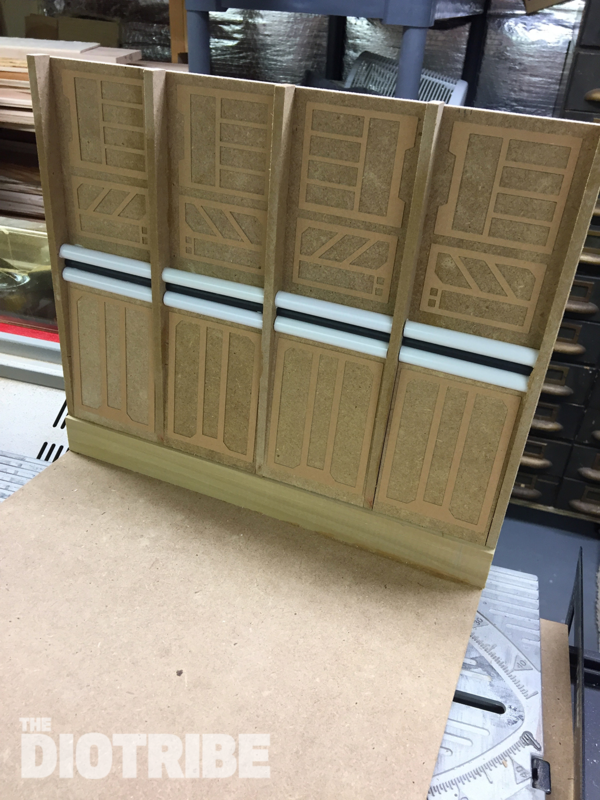 I would never be able to cut such straight and consistent pieces by hand — the Cricut machine does a great job. The paper cut-outs are glued to the back wall. These add some dimension to the walls and a great deal of visual interest. The floor and the wall get a coat of gray primer. 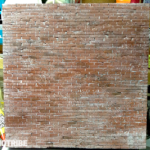 The back wall was given a rusty paint job, using sponges and various shades of reds and oranges, while the floor was made to look like concrete by applying several coats of grey, white, and black spray paint. 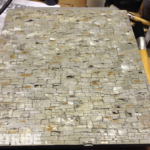 The final paint job is complete, and this quick and easy backdrop is ready to see some action!